Murder City: Mystery and Suspense on Television. 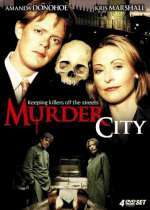 Murder City was a limited run series in the UK that aired 6 episodes in 2004 and 4 additional episodes in 2006. 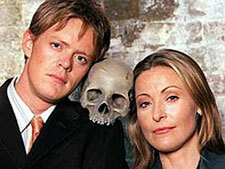 Set in a busy inner city murder squad, the series featured Amanda Donahoe who played tough, methodical detective Susan Alembis and Kris Marshall as Luke Stone, her unorthodox partner. Together, they unravel the truth behind the city's extraordinary homicides.